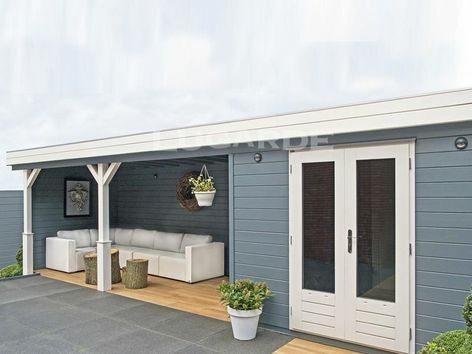 The Lugarde Prima Imogen is a summerhouse under 2.5m tall and has a room with glazed double door plus a canopied seating area with open front. Approximate overall size 8.4m x 2.4m in 44 mm log thickness. The standard package includes 1 x PE45H double glazed door. 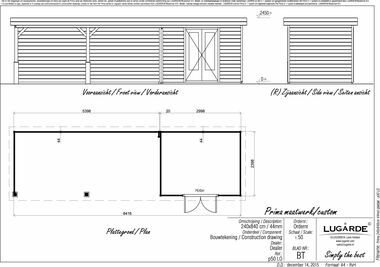 The cabin measures 3m x 2.4m and the canopy measures 5.4m x 2.4m.